I’ve occasionally wanted to add a lot of videos at once to a youtube playlist. Usually, this is super annoying since it takes a bunch of mouse presses to just added one video, and you can’t even used keyboard shortcuts (like hitting TAB and then enter). Add videos -> URL -> enter URL -> Add video. Repeat for each video, and every single one of those requires you to move your mouse around. You have to wait a bit each time too as the page reloads with your new video on it. I found a shortcut so that it’s annoying, but slightly less annoying. In this method, you open the modal to add a video, then instead of opening and closing the modal, you can just copy-paste-click to add all your videos. Specifically, this adds them to your “watch later” list. Then you can go to your watch later playlist, click “add all to playlist”, and add them to your desired playlist. A bit convoluted to explain, but really easy in practice, and so much faster than the old process. Open up the playlist editor as usual, then entire a URL. Click the “clock” icon. The “clock” should change into a “check mark”. Then you can paste in the next URL (without having to exit the modal) and proceed to add all videos. you can create a temporary playlist “temp playlist”. 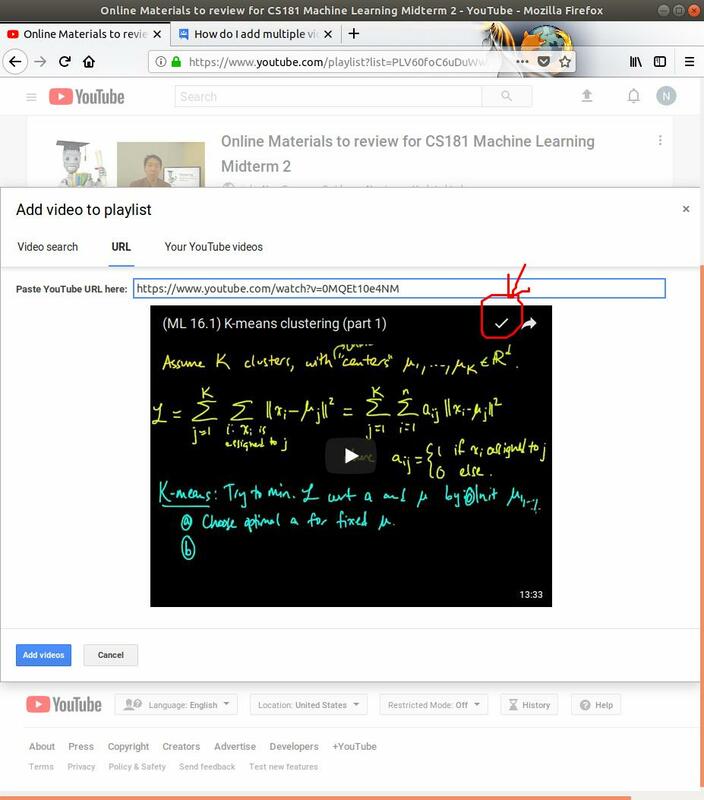 Then on your “watch later” list, click the three dots, and add all of the existing videos to the new “temp playlist”. 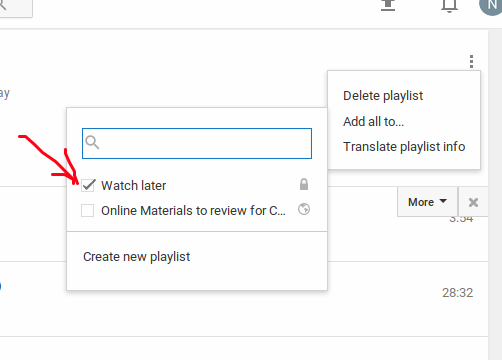 After you are done bulk-adding videos to your other playlist (say cool playlist), you can uncheck playlist Watch later from “add all to” list. This’ll remove the new videos of your list from the Watch Later list and leave it empty. Finally, go back to your temp playlist and click “add all to” Watch later. Wow, that was a mouthful, but hopefully it should make sense.